Multi Week & Sibling Savings for Teen camps - Use these promo codes when you check out. *Please note: Discount codes used incorrectly will result in balance being owed upon sign up. Student designers will learn basic sketching techniques to design their very own custom made activewear including leggings, t-shirts, workout pants, hoodies and more. They will also learn how to read a sewing pattern, how to cut & sew the fabric for their sewing projects, how to operate sewing tools & sewing machine to create their designers. They also learn ways to adorn and add details including pockets, zippers, pleats & more. During the Dress Designer Week, students will learn basic sketching techniques to design their very own custom made dress. They will also learn how to read a sewing pattern, how to cut & sew the fabric for their dress, to operate sewing tools & sewing machine to create their dress. They also learn ways to adorn and add details including pockets, zippers, pleats & more. Students enrolled in the NYC Fashion Week will spend their week exploring the fashion hot spots of New York City! Destinations will include fashion exhibits at museums, high end store fronts, funky neighborhoods and fashion colleges to get inspired and learn about fashion and design! Group will meet at the studio in Hoboken at 9am each morning, take the bus into NYC each morning and return to hoboken at the end of each day by 4pm. Each day there will be time to sketch and talk about the exhibits visited that day. Students can BYO lunch, or bring their own money to purchase lunch in New York each day. All entrance fees and travel expenses are included in the price of this camp. During the Etsy Headquarters Little Entrepreneur Week, students enrolled will design and create an actual handmade product that will be sold on Etsy. Throughout the week of camp they will also develop a brand, including logo, online presence, product photography and business plan for selling their handmade product on Etsy. Each student will need their own smartphone, with camera, as well as a basic laptop. Student designers will learn basic sketching techniques to design their very own custom made shirts, pants, skirts. They will also learn how to read a sewing pattern, how to cut & sew the fabric for their sewing projects, how to operate sewing tools & sewing machine to create their designers. They also learn ways to adorn and add details including pockets, zippers, pleats & more. 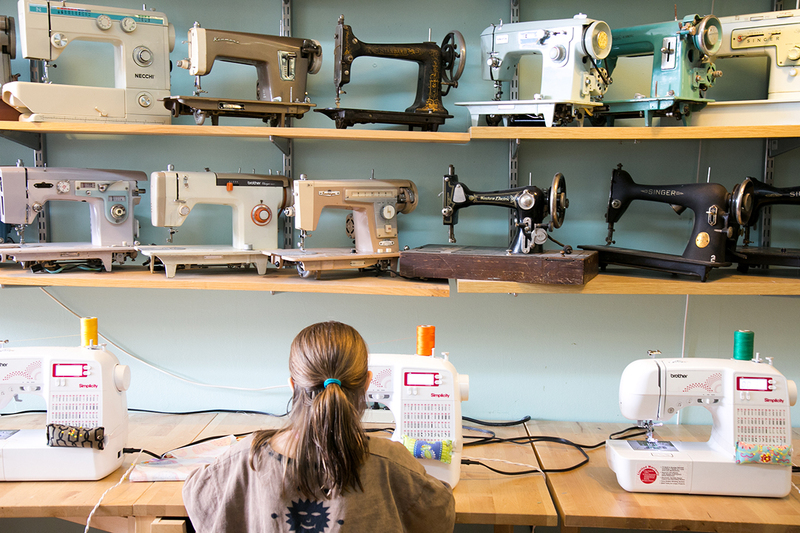 Teen campers will have supervised BYO Lunch time & (non-sewing) Activities from 12-1pm in the studio each day. Campers in 7th - 12th grade will have the option to leave the studio from 12-1pm for lunch with parent permission. All admissions to museums and activities for NYC Fashion Field Trip Weeks are included. We are small, personal camp. There are 8 spots for this age group per week. We continue to sell out each summer, so secure your spot early to make sure you don't miss out! 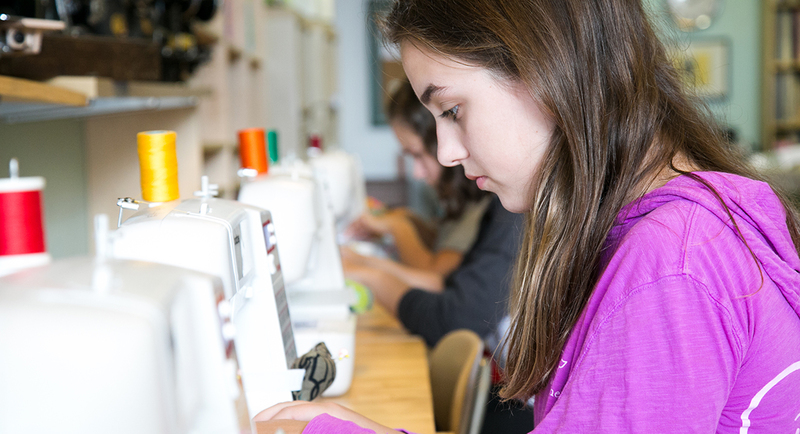 All Sewing Camps except for the NYC Field Trip camps will take place in our beautiful sewing studio, located in the Monroe Center in Hoboken NJ. Check out photos of our past summer camps here. Due to the seasonal nature of summer programming and the set limitation of spaces offered, no refund shall be provided for absences, changes, withdrawals, or dismissal for cause. Upon sign up, permission is hereby granted for photographs to be taken of the camper. M Avery Designs has the right to utilize these photographs in m avery designs studio promotional materials unless parent makes other arrangements with M Avery Designs. Monroe Movement Space on the 5th floor provides before care from 8-9am, as well as after care from 4-5pm or 4-6pm each day for those interested. We're happy to pick up and/or drop off any kids who will participating in this. If interested, contact Monroe Movement Space directly for more info and rates. Please be sure to make us aware of this before your camp starts. There is no camp from July 1st - 5th, 2019. Our studio will be closed the entire week. The weeks that there is no program listed means we don't have camp for this age group that week.